FRANKFORT, Ky. (Oct. 15, 2018) – The Kentucky Energy and Environment Cabinet presented 13 environmental awards October 12 at its annual Governor’s Conference on Energy and the Environment at the Lexington Convention Center. The awards reflect a commitment by those honored to preserving and enhancing the Commonwealth through energy efficiency, soil conservation, mine land reclamation, farmland stewardship or innovation. Tom Fitzgerald, who has spent nearly four decades advocating for those, “downhill, downwind and downstream,” as was inscribed upon his award, was the recipient of the 2018 Secretary’s Award at the Governor’s Conference on Energy and the Environment. Lt. Governor Jenean Hampton and Energy and Environment Cabinet Secretary Charles Snavely presented “Fitz,” as he is widely known, with the award at the conclusion of the Awards Luncheon on Friday afternoon. 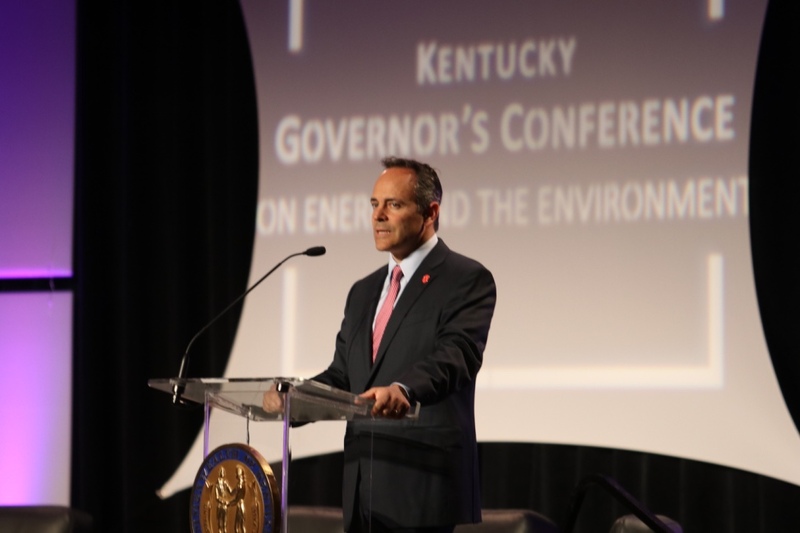 Energy and Environment Cabinet Secretary Kicked off the 2018 Governor’s Conference on Energy and the Environment with remarks about the future of Kentucky’s energy profile, environmental regulations and continuing to keep Kentucky’s environment and citizens protected. Governor Matt Bevin was the keynote speaker on the first day of the conference. The governor touted his energy policies, covered cyber security, the changing energy landscape and updating the power grid. He also took questions from the audience which included a discussion on subsidizing alternative energy forms. Day Two of the 41st annual Governor’s Conference on Energy and the Environment saw both the theoretical, the practical and a call to action by Gov. Matt Bevin to close out the sessions. More than 200 people then attended the awards luncheon at the Lexington Convention Center at which 10 awards were given out to those individuals or businesses honored for preserving and enhancing this beautiful state of ours through energy efficiency, soil conservation, mine land reclamation, farmland stewardship or innovation. 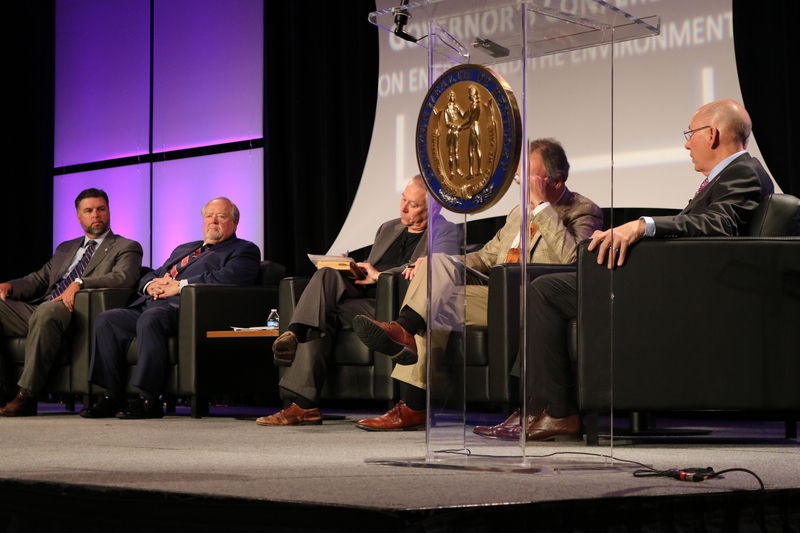 Day one of the 41st Annual Governor’s Conference on En ergy and the Environment began Thursday, Oct. 19 at 1 p.m. with a welcome by Cabinet Secretary CharlesSnavely at the Lexington Convention Center, Lexington, KY.